The actual group presentation can be very daunting – trust me, I know! When I do a presentation I get so unnecessarily nervous, even though I know everyone that I’m presenting to. Because of this, I’ve developed a few little tips and tricks that can help everything run smoothly. Preparation is key – failing to prepare is preparing to fail. Therefore, knowing you have everything prepared, under control, and completed to a high standard should stop you from being so nervous and make it easier for you. Before the actual day, make sure you fully familiarise yourself with the whole presentation as this will make it a lot less nerve wracking for you – ignorance is not always bliss! I always turn up to a presentation with a piece of paper that has prompts for what I’m going to say – I keep these very short, sometimes only key words, as I feel that the less there is written down the more natural it will come across and it is far less likely that you’ll jumble up your words (it’s happened to all of us!). 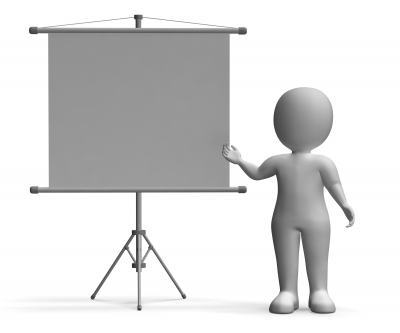 Do a full run through of your presentation with your group in your last couple of meetings. This is important to ensure everything is in a sensible order, and also lets you time it which is vital as you will often have a strict time limit. Relax! It’ll all be over soon. Try to keep yourself as calm as possible and remember that everyone is probably just as nervous as you are. You are all in the same boat! Do not rush the presentation as your audience will not be able to appreciate all your hard work. So remember to speak at a steady pace. Sometimes, you will have a video clip in your presentation – think about where you place this. If you feel like your section leaves you speaking for a length of time that you are uncomfortable with, place the video clip somewhere in the middle (if this is a relevant place) as this will give you a quick breather before going on to speak again. Do not read word for word off the slides for the whole time. This is unnecessary as the slides are there for the audience to look at, and it doesn’t let you present all your information effectively. You will achieve far more if you speak naturally and out to the audience. “It’s really obvious when someone hasn’t done proper research and is just reading off the screen. It’s really boring to watch!” Gemma – Criminology student. Add some good quotes to your slides and some key points, then use your prompts and expand on these vocally – this shows your depth of knowledge in the particular subject, and believe it or not you will come across a lot more confident than you think. Finally, take a drink of water if you feel it might help your nerves, and more importantly breathe! I know that presentations are not everyone's cup of tea but the more you practice now in a safe environment the better prepared you will be if you have to do it in a job interview and eventually in your job.